I need some advice in the planning stages for a small house (9 poles which i think is 9 x 9 meters) for the thai inlaws. looking at a budget of around 400,000 so nothing to fancy. I want it to be slightly above the thai standard as I will be staying here when on holidays. any one have some basic designs I can have or know of any cheap architects that can do up some building plans. 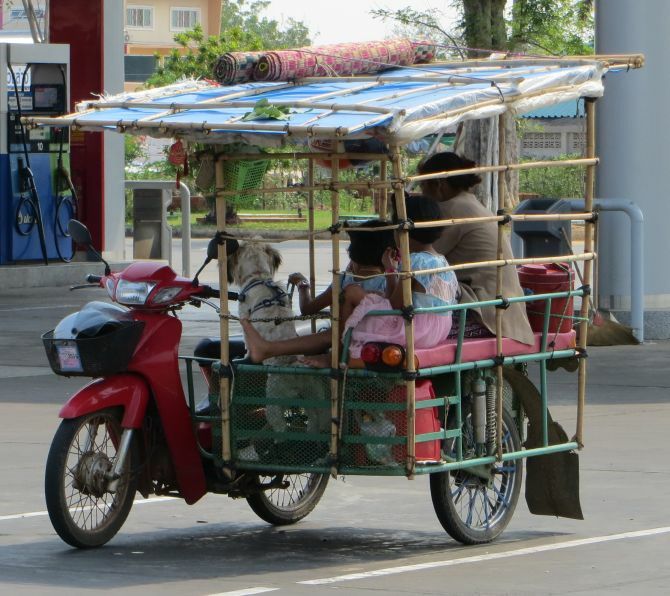 I am in the chachoengsao area about an hour and a half out of bangkok. 9 x 9 meters square would use 16 columns not 9. 36 square meters. Very small house. 12 columns would be better. OA dimension 6 x 9 meters. Or even 6 x 12 meters better yet. I think you'll be sleeping with them in their bed. It's a bit small, unless you have an outdoor kitchen and outdoor shower and toilet built on. Leaving inside for a bed and living room set up. For that price it might pretty much be nothing but the shell and roof tiles. 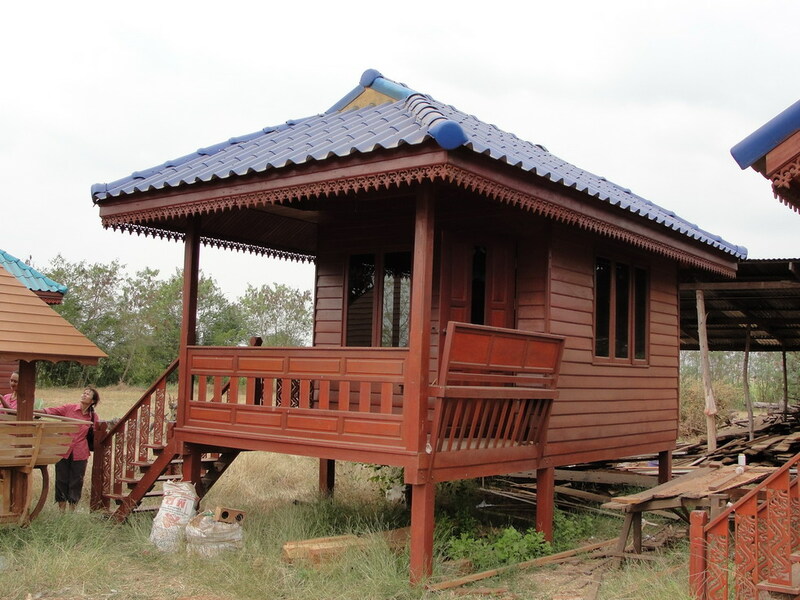 Take a look at the wooden prefabricated knock down houses along the highways. See what they have for 400,000thb. Also add 80k or so for a concrete base. Depending on in-laws and where. Have two sets of toilets/showers. One for you and one squat. If while you are away they don't use the squat then replace. Also you may consider a separate en suite for yourself and keep it locked. If you have anything personal like a motorbike, chainsaw or tools or...build yourself a separate lockable secure shed. 20ft container? I think these are usually around 280,000thb or so. You may find a bigger one for 400,000thb. Don't expect to get a lot of house that amount of money. Go to the local Amphur office some do plans. You can easily do a 9 X 9 meter house with 9 footings and columns and it would be 80 square meters on the inside. You would have 1 footing/column dead center of the square. You can even build it 10 X 10 and use 9 columns AND use regular roofing steel if one opts for blue scope metal roofing. Ground beans need to be a bit more robust but no problem at all. Your on a 3 meter grid. Way small. Can go 4 meter or 5 meter on the footing/column grid no problem. Dont even have to do that, just need thicker C-channel welded back to back on the main supports, but already getting way out of hand as that is only if one decides to use a cement tile roof material. Bluescope custom cut metal roofing and no need anything else. Regular ole cheapie thin roof c-channel support structure like all the locals know how to do already. Cement tile roof way too hot of a heat sink for a 400k house anyway. At that budget it should be tossed. Ive had metal roofing on my last 2 homes here in Thailand (and they weren't thai style either) and the roof on my house in Hurricane Florida is metal, along my 40 X 60 Sq Ft shop, metal. Last edited by Slick; 10-01-2017 at 09:55 AM. The money saved from using metal roofing can go into good ceiling insulation and gyp-rock ceiling too and negate any rain noise from the metal roof. Even without insulation the rain noise isn't bad at all on the inside of the house. Who cares what they think though, they getting a free house with a more durable & cooler roof. I'm with the metal roof. They come with insulation pre-attached so should be OK for heat. I've always thought I would add a separate second skin to keep out the the heat. They come with insulation pre-attached so should be OK for heat. The main thing is that metal dissipates heat after the sun goes down, reflects more UV depending on color whereas cement holds heat like a heat sink way into the night making it a sweatbox unless decent coin is spent planning/ventilating/ insulating properly. Well one would hope the roof has enough slope and vents on the eaves etc. even if using metal. Yep, but ventilating the eves isn't nearly enough as most Thais like the hip roof design with no ventilation on the top. The way they do it here blocks convection and heat cant escape well enough as hot air rises. A simple square house with a gable roof, ridge vents AND eve vents allows for complete flow from bottom to top. Don't suppose I can buy one of those for my Honda here.